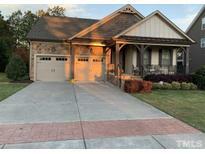 Find Rolesville, NC Homes for sale. View Photos, Maps and MLS Data Now! Granite Falls - Kitchen showcases a farmhouse sink, granite countertops, white cabinetry, all upgraded Stainless Steel appliances a 5 burner gas range, butlers pantry, gas fireplace in family room w/built- in bookcases, oversized walk in pantry and a 3rd finished floor with a full bath. This home has it all! MLS#2249875. 1103. Awesome 3 season Room overlooks fenced backyard. HOA maintains yard. Must see. MLS#2249806. 513. Averette Ridge - Tankless water heater, Anderson premium windows, upgraded insulation. Access to community pool & clubhouse. MLS#2249439. 3770. Carlton Pointe - Community pool, club house & play area. MLS#2248849. 1397. Granite Crest - Great neighborhood with membership to Granite Falls Swim and Athletic Club included! Appliances convey. MLS#2247322. 297. The Village At Rolesville - Fenced in yard. Shed. Extended Patio w/Pergola. Landscaped. MLS#2249333. 1758. Enjoy the outdoors from your Screen Porch. MLS#2249112. 1752.
it lives like a spacious retreat with much of the living space on the main floor all in a convenient location! MLS#2248856. 1332. The Village At Rolesville - Upgraded features include new carpeting and fresh interior paint. MLS#2248808. 4823. The Village At Rolesville - This Rolesville two-story corner home offers a front porch, fireplace, hardwood flooring, stainless steel appliances, master bathroom with separate tub and shower, loft with built-in shelving, screen-enclosed covered patio, and two-car garage. MLS#2248809. 4823. The Heritage community offers playgrounds, green way trails and many amenities. MLS#2248427. 297. Sunroom w/ panel of wndws. Famous Granite Falls Athletic Club MLS#2247933. 3270. Carlton Pointe - Family Room: Cstm Stacked Stone to Ceiling Fireplace w/Cstm Stained Mantle & Quad Window! Large Upstairs Bonus & Unfinished Storage! MLS#2247977. 1128. Carlton Pointe - Bump out in garage w/ attic space. MLS#2237013. 1320. Cedar Lakes - Irrigation system. Community pool & tot lot. MLS#2246593. 297. Carlton Pointe - Large Upstairs Loft & Reading Nook! Walk Up Attic for Storage! MLS#2247607. 1128. Multiple parks,award winning golf, private pool + more! MLS#2245959. 297. The Village At Rolesville - Seller paid 1 yr warranty included. MLS#2244762. 297. 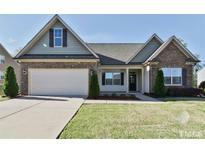 The Village At Rolesville - Very nice home that shows well! MLS#2246586. 1709. Carlton Pointe - FamRoom: w/Cstm Surround GasLog Fireplace & Double French Doors to Screened Porch! Large Upstairs Bonus & Unf Storage! MLS#2245693. 1128. The Village At Rolesville - The closet in the master is huge with additional storage in the walk-up unfinished 3rd floor attic. Come and see for yourself MLS#2244928. 3740. The Village At Rolesville - Yard backs to natural wooded area! MLS#2244496. 5191. Lots 10 & 11 included in sale (wooded area to right of home). MLS#2244557. 4276. Pine Glen - Come and meet your new home! Special Financing! MLS#2243667. 4215. The Village At Rolesville - Enjoy the View Of the Nice Sized Yard Form the Screened In Porch that you will Never Want to Leave! Many Additional Upgrades! Welcome Home! MLS#2243403. 5203.